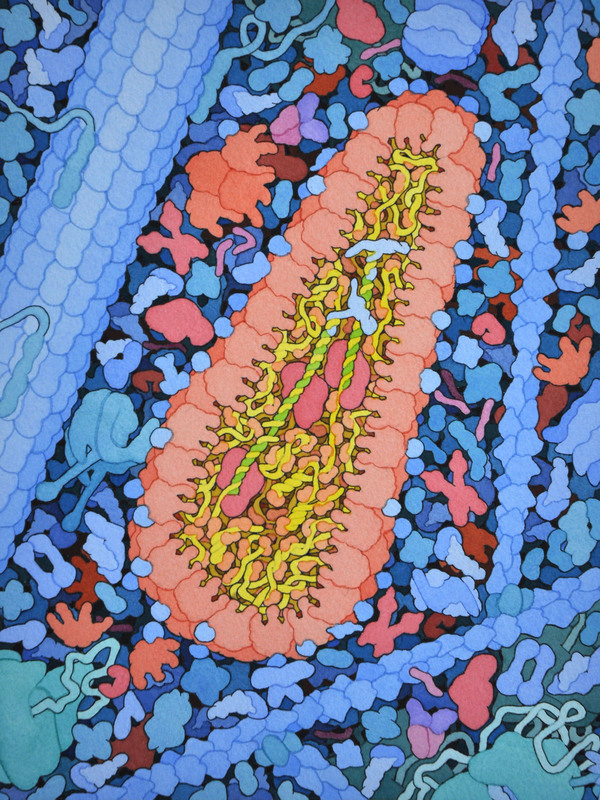 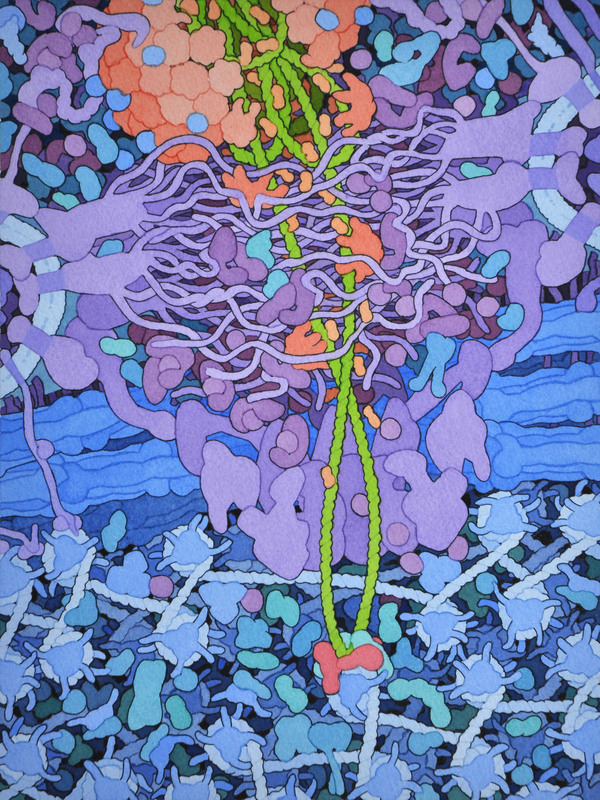 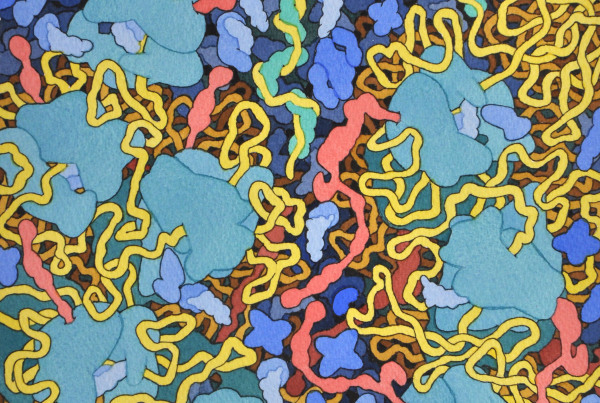 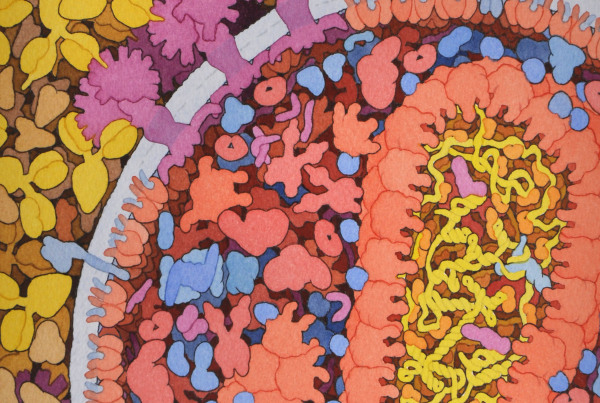 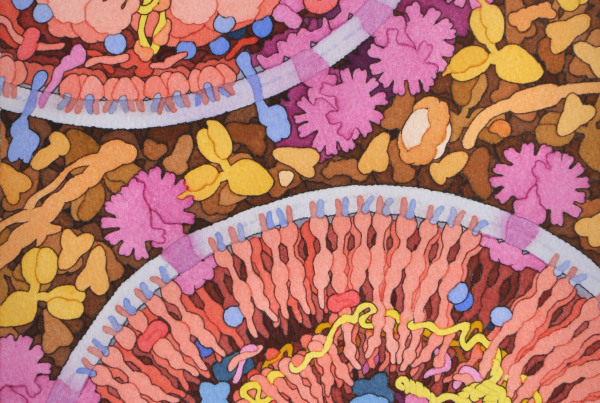 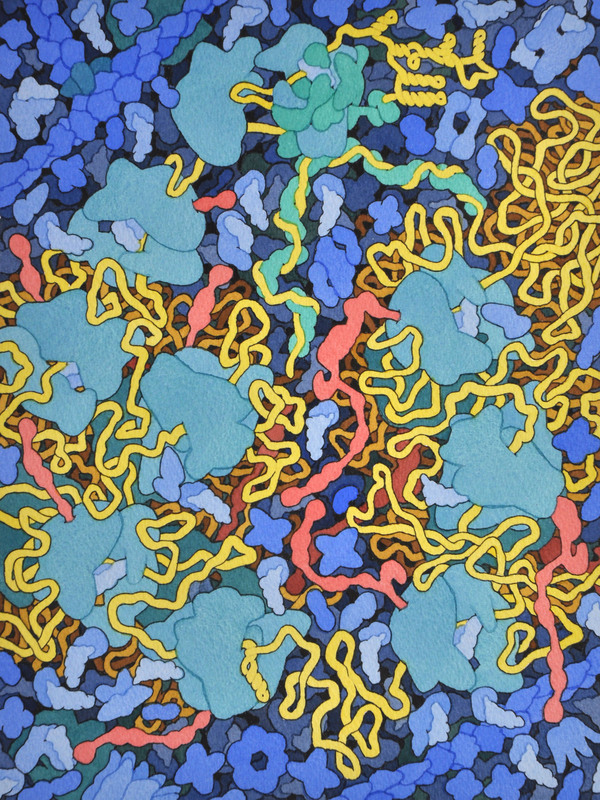 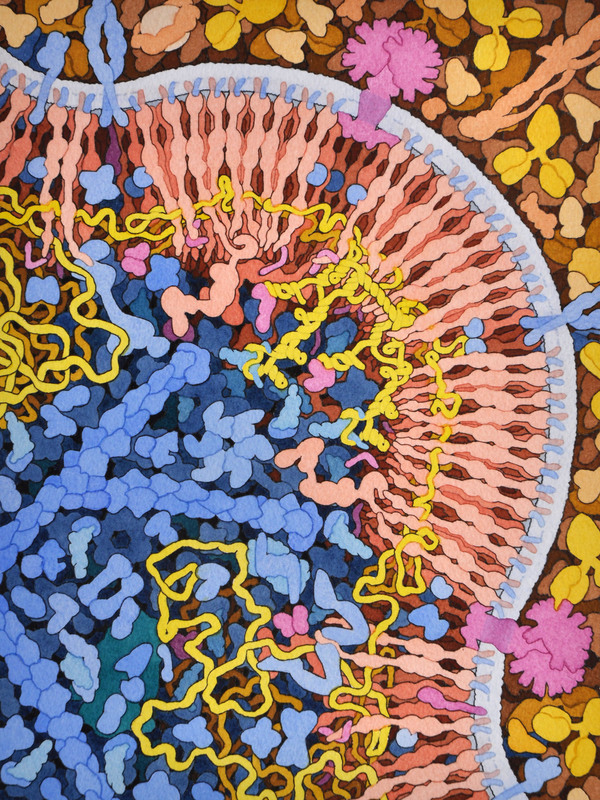 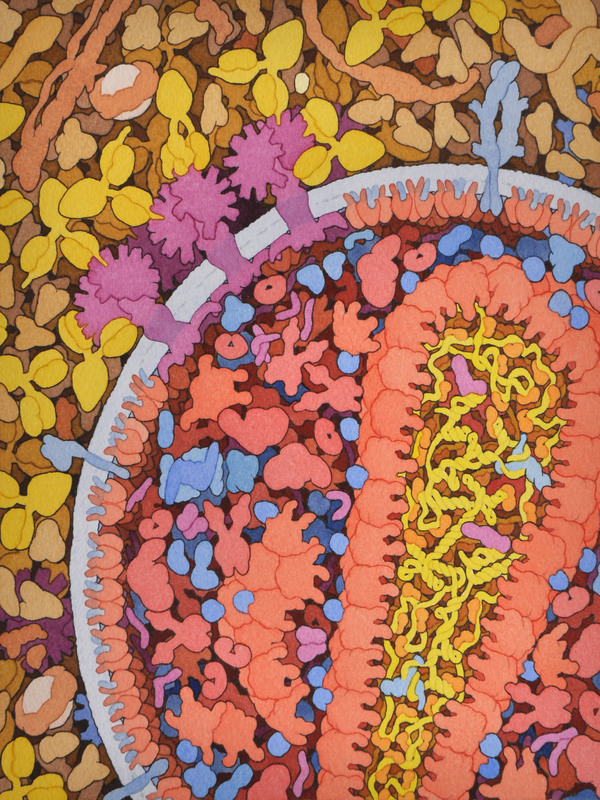 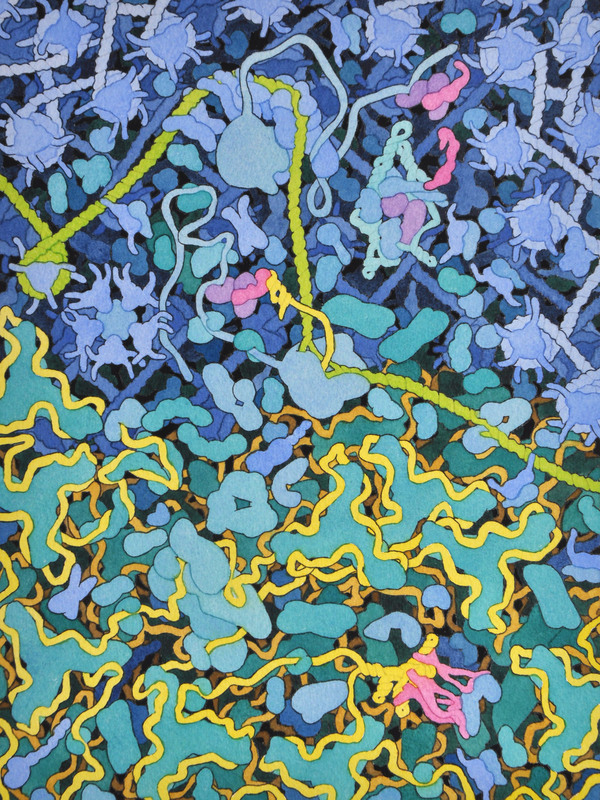 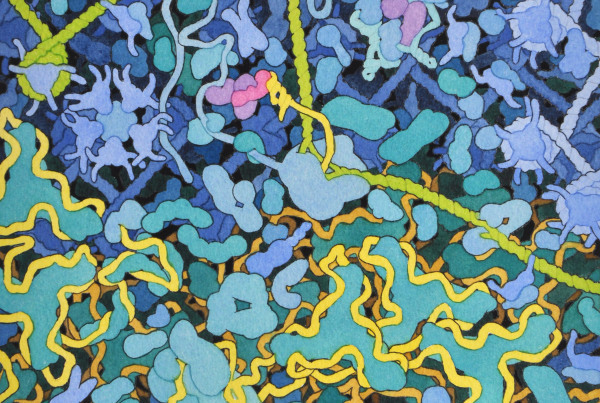 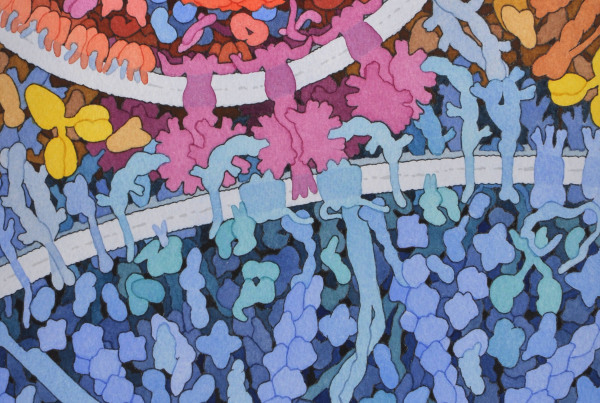 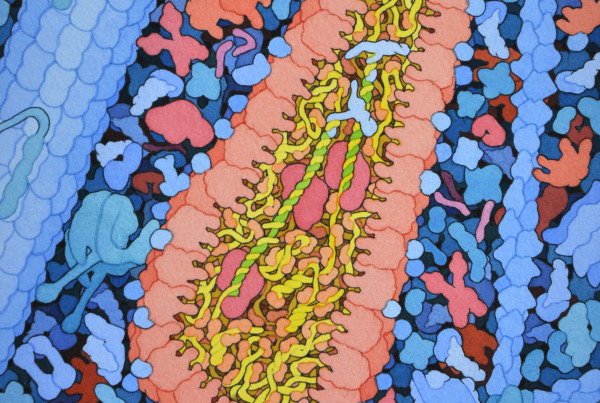 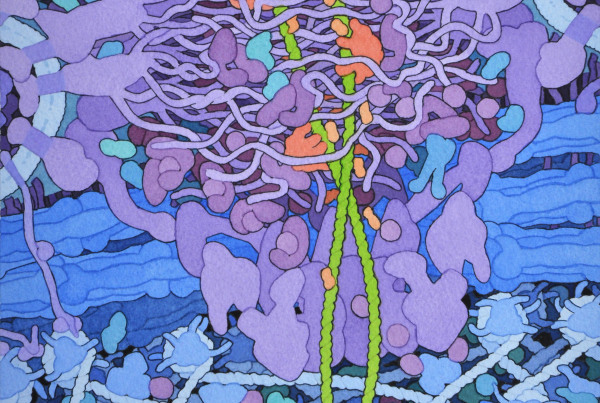 These illustrations, by David S. Goodsell, integrate information from structural biology, electron microscopy, and biophysical studies, with goal of simulating a view of the macromolecular structure of HIV in its cellular environment. 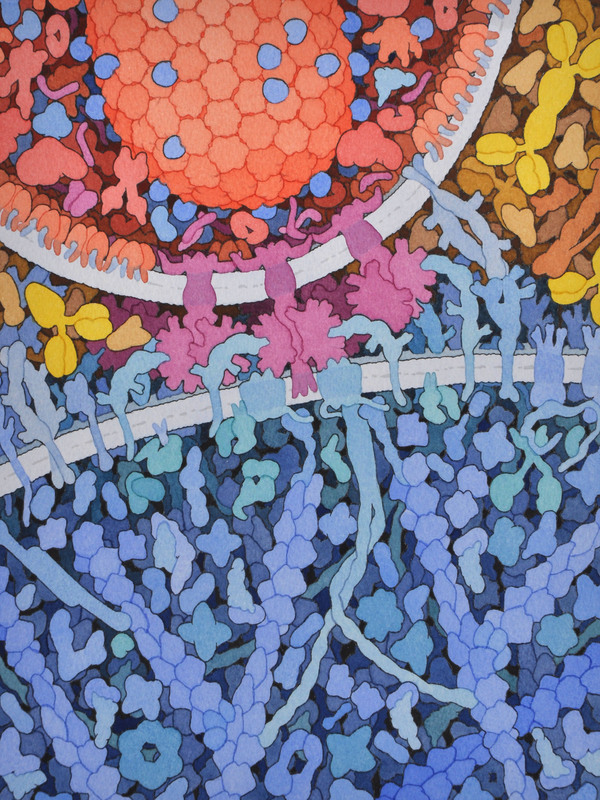 Each illustration captures the virus at one point in its life cycle, in a cross section that shows all macromolecules and membranes. 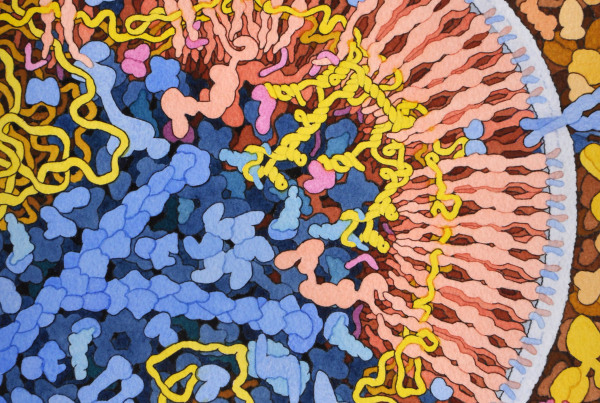 Current efforts are extending these semiquantitative illustrations, using these diverse sources of information to specify 3D models of HIV and its interaction with host cells, for use in hypothesis generation and simulation. 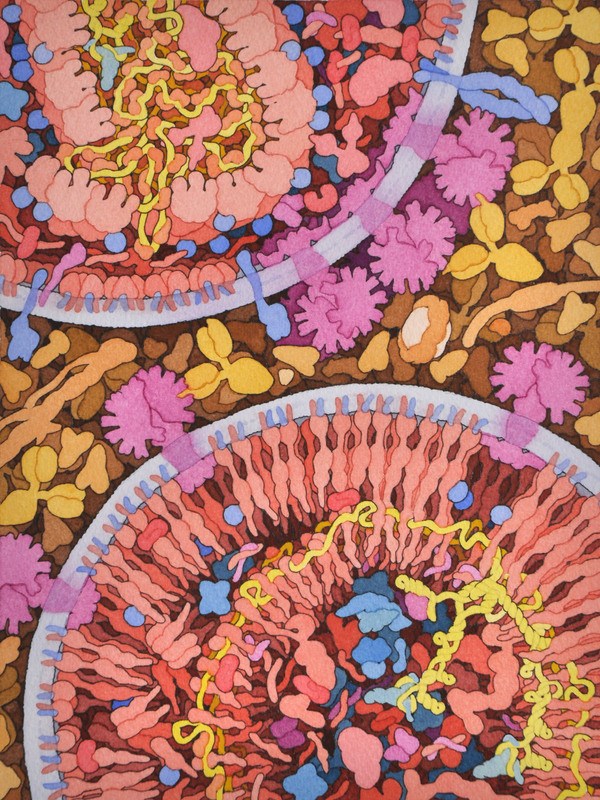 For more information about these illustrations, please visit the HIV Interaction and Viral Evolution Center (HIVE) website.